Where the prayers are meaningful, the people are friendly, and everyone feels at home. YOU ARE INVITED to a most inspiring and meaningful High Holiday Services, in a place where everyone feels at home and welcome. You may see yourself as unaffiliated, Reform or Conservative. 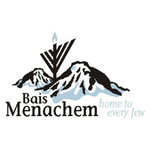 At Bais Menachem, we see you as Jewish. No labels. No differences. Chabad is a home for every type of Jew. Our Services are refreshingly casual and easy to follow. The English-Hebrew Prayerbook, along with commentary, melody and humor, make everyone an active participant. The kids will enjoy special interactive programs just for them. Break the fast with us at the end of Yom Kippur. Bais Menachem, 400 S. Holly St.